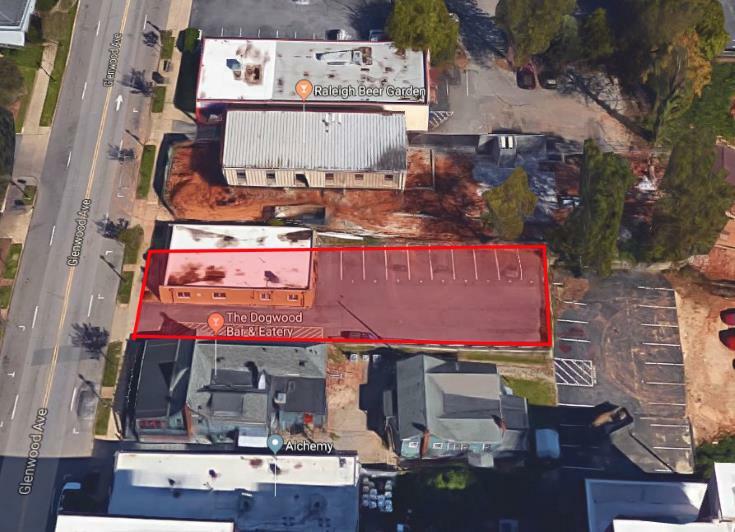 The 600 block of Glenwood South just might become the densest cluster of bars in downtown Raleigh. At 612 Glenwood, currently shown above, submitted plans to the city show a proposal for adding a second floor to the building for outdoor bar space. The outdoor bar is basically the roof of the building and is mostly open to all views. 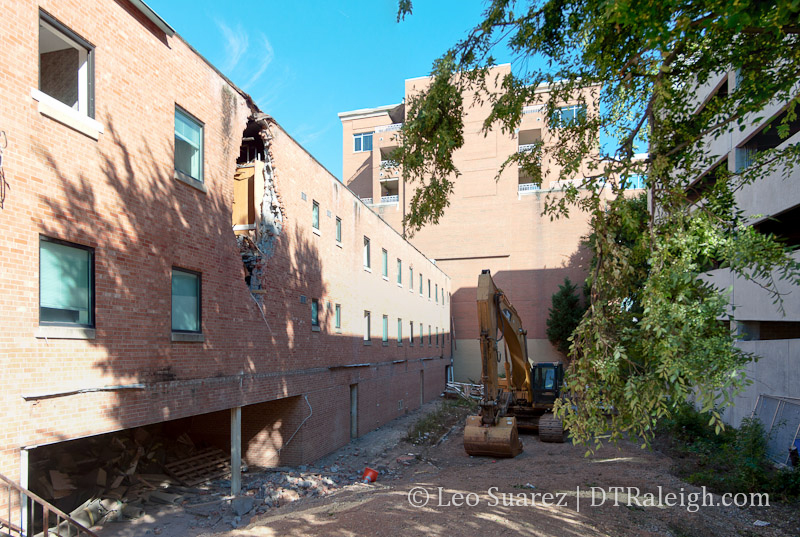 In addition to a second floor, most of the outdoor space around the first will be cleaned up. 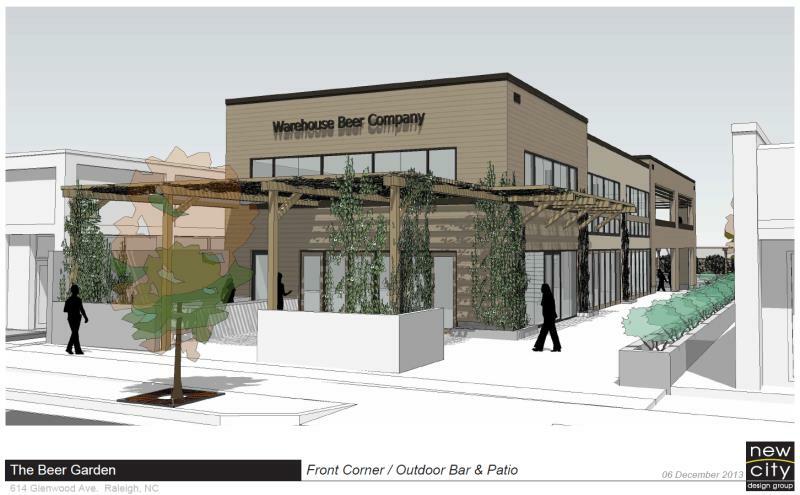 According to SR-042-18, the “10 existing parking spaces to be obliterated…” Basically, the rear parking lot and driveway will be paved over and an outdoor bar will be built towards the back. Here are the renderings as part of the plan submissions with an aerial view from Google Maps as a reference. 612 Glenwood. May 2018 via Google Maps. 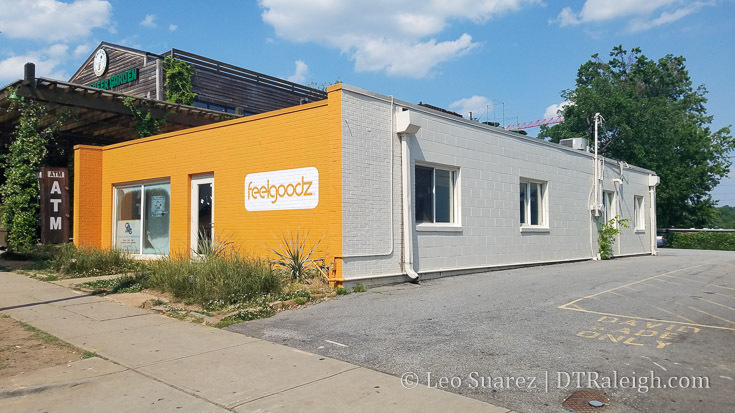 The retailer, Feelgoodz, is moving (has moved?) from the space as retail struggles in Glenwood South these days. This makes sense that 612 Glenwood could be a bar for a while as the biggest use here is nightlife. Even with so many residents, perhaps the district hasn’t hit critical mass to really land some solid retail. Who knows though as the dynamic could change in the future with even more residents coming nearby at Smokey Hollow. It shouldn’t be too surprising to see even more development along Peace so retail might have a chance in the future. 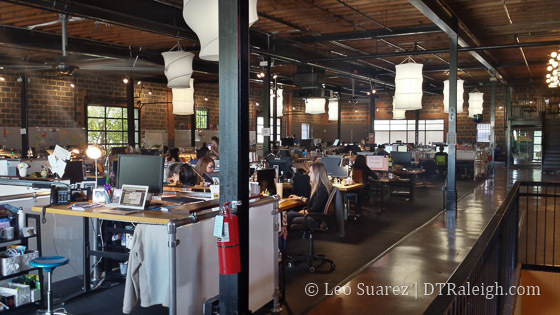 If only office space could land along Glenwood, then the dynamic might really mix up. 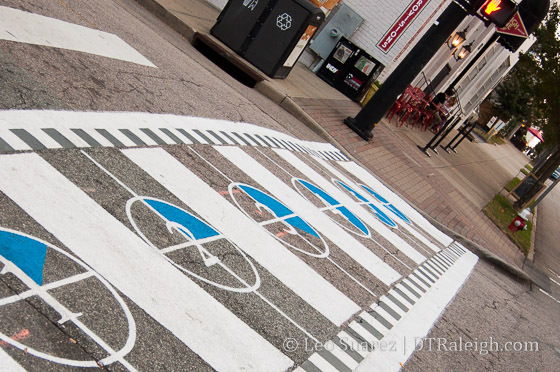 A volunteer group of good folks in Glenwood South came together and put art on the streets. 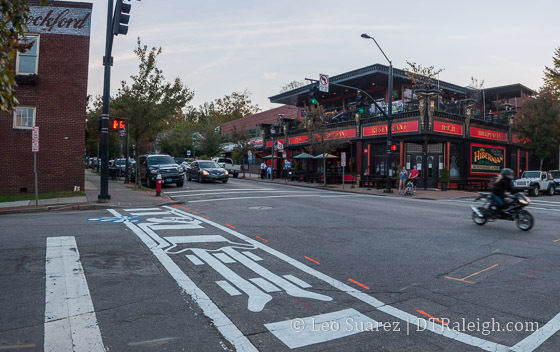 Three designs from local artists have been applied to three crosswalks on Glenwood at Jones, North, and Tucker Street. These citizen-led projects are always high-quality. The bottom-up approach is fueled by passion and if you haven’t participated in one, it can be a grueling test of patience. Doing creative things within the public realm is quite a challenge and I applaud anyone who takes a stab at it. The city’s top-down culture directly clashes with people’s big ideas for their neighborhood or city in general. You can make a lot of people nervous by proposing outside-the-box ideas. This is why you sometimes see guerilla urbanism take place in some cases, where asking for forgiveness is easier than permission. Thank you to Donna Belt and the entire team behind this. I think this is simply fantastic! After noticing the construction work taking place at Centerline Digital, I was invited in for a tour to find out more about them. 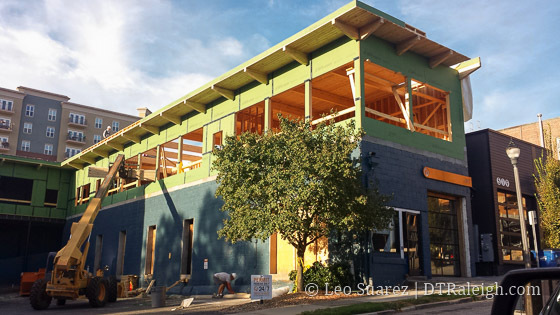 The construction on North Street in Glenwood South is an expansion of Centerline’s space to accommodate a growing team. What started with 2 people in 1995, the digital marketing agency now has around 140 members. Centerline moved into the larger space at 509 West North Street about 3-4 years ago. You might remember it being a gym that turned over a few times. They’ve acquired the single-story brick building next-door, (517 North Street) are adding a second floor to it, and “bridging” it to the main building. They should be up and running in the new space in the Spring of 2016. In addition to a few companies locally, Centerline has some big-name clients including IBM, GE, and Lowe’s. 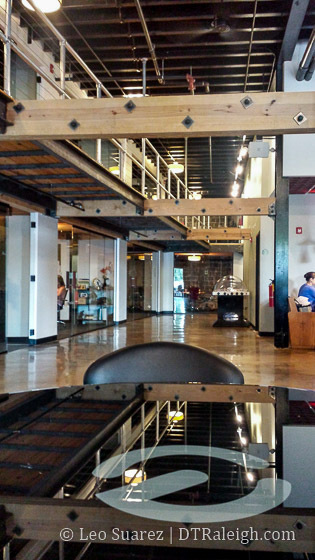 My walk-through included seeing Centerline’s office and meeting spaces. Desks, benches, nooks, and crannies were filled with people working on a variety of tasks. Less walls and open spaces were at the heart of the design behind this workspace. 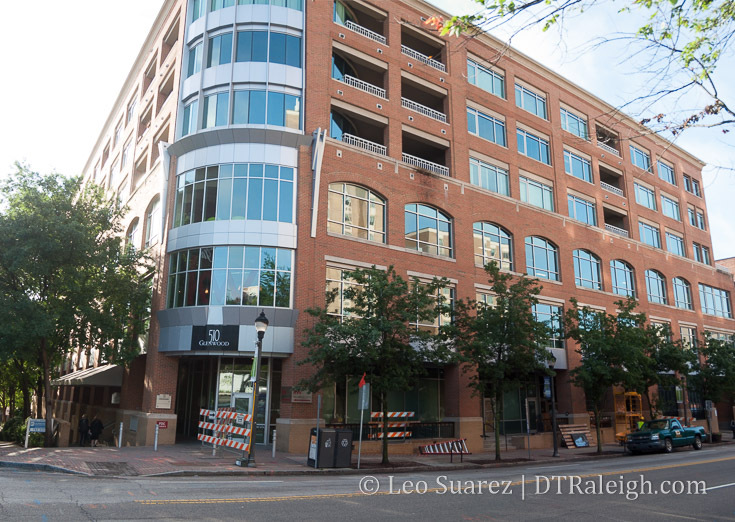 The place felt like a creative powerhouse and I certainly am happy to see these kind of locally grown companies doing big things in downtown Raleigh. I recommend email readers click through to the website to see the embedded video if you can’t see it. 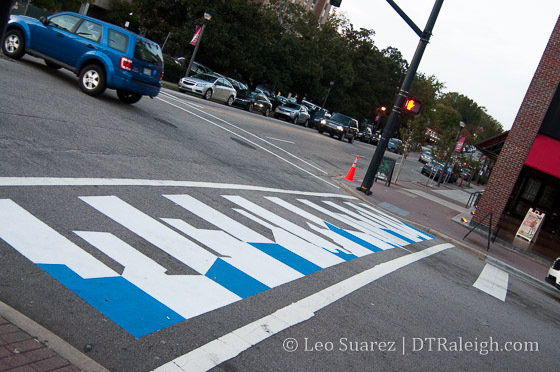 Go to Video of Downtown Raleigh Takes Art to the Streets. The beer flows in Raleigh. The flow has many flavors and venues. 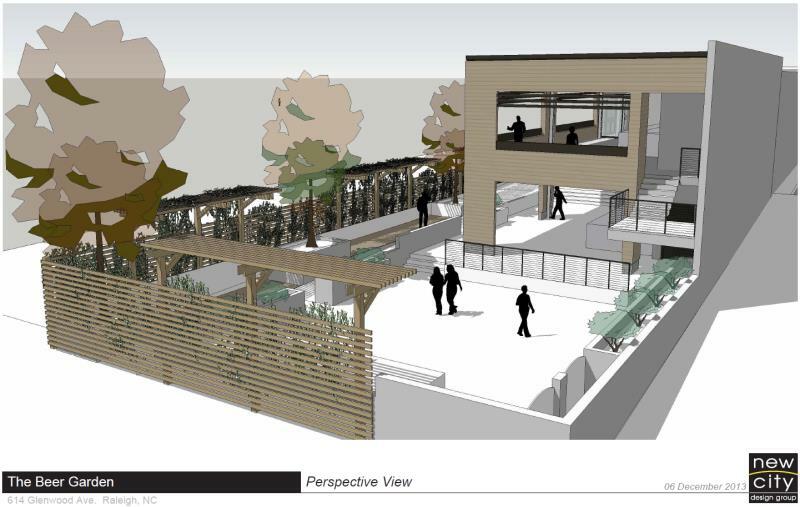 Adding to that list of beer drinking venues is the Raleigh Beer Garden which will be situated at 614 Glenwood Avenue. The office building already on the site is up for a makeover and the beer garden will take over. The new place comes from the folks behind Hibernian Irish Pub, Solas, and The Station. Posted here are some renderings of the new place that show the direction that New City Design Group are going with this project. Is there a term for a restaurant that has a ton of beer taps? The Raleigh Beer Garden plans to have over 100 so that makes it an extreme multi-tap restaurant with only The Flying Saucer able to come close within downtown Raleigh. Here’s the current building as of December 2013. We could see movement on this project in Spring 2014. You almost don’t want to believe this until you see it. 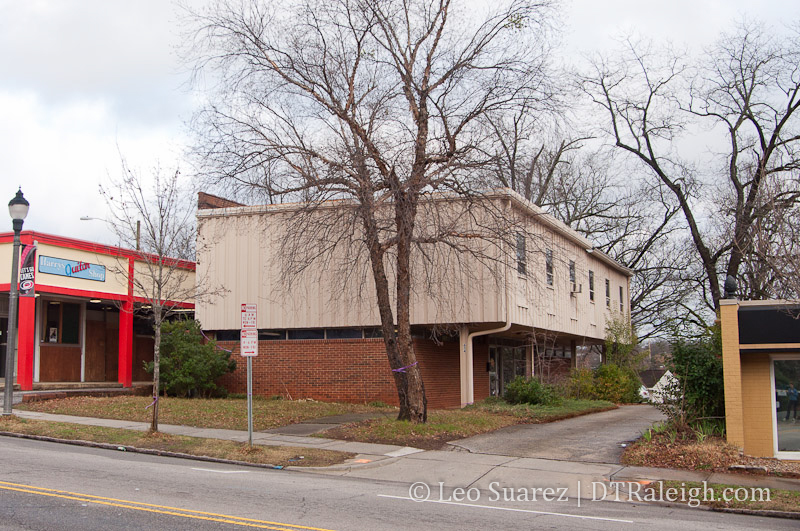 The story that has really turned me, and others I talk to, into pessimists is the one about the upcoming new building at 500 Glenwood Avenue. 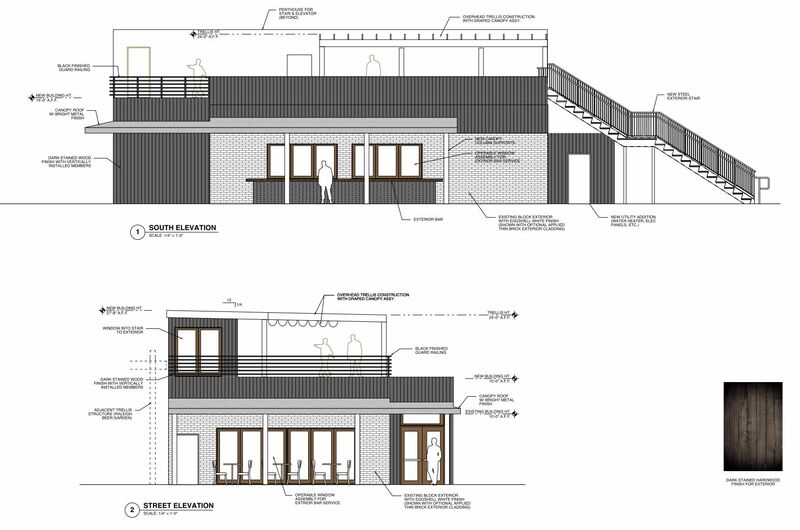 It is planned to house, in addition to other businesses, a Carolina Ale House and after almost five years, it looks like this project will finally get started. 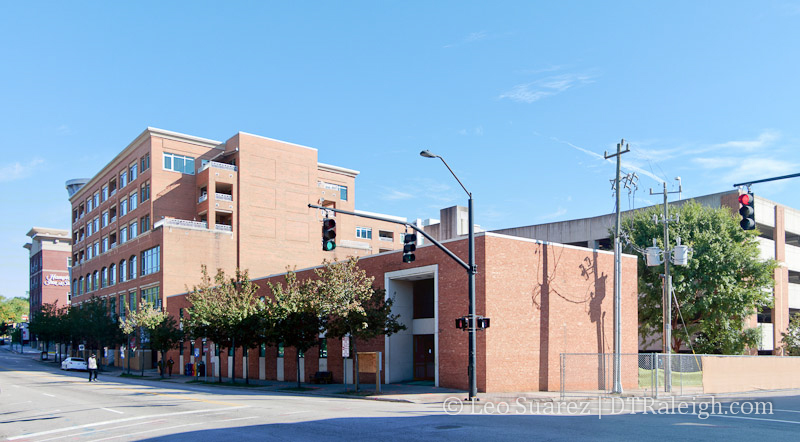 In the coming days, we should see the building at the corner of Tucker and Glenwood Avenue come down and make room for a new, three-story building for a rooftop Carolina Ale House restaurant and additional retail space in the other floors. Some construction fencing is now up and even the R-Line stop at this corner has been moved down a bit along Tucker Street. I have no doubt that the Ale House here will do some pretty good business as the brand has over 20 other locations to bring experience from. If you’ve never been, the Ale House is a sports restaurant with a “something for everyone” menu and an extensive beer list with enough choices for safe beer drinkers to try something new but not enough to satisfy the craft palate. The beginning of the demolition to the building. Let’s hope for smooth sailing ahead on this project so that doors will open in late 2014. 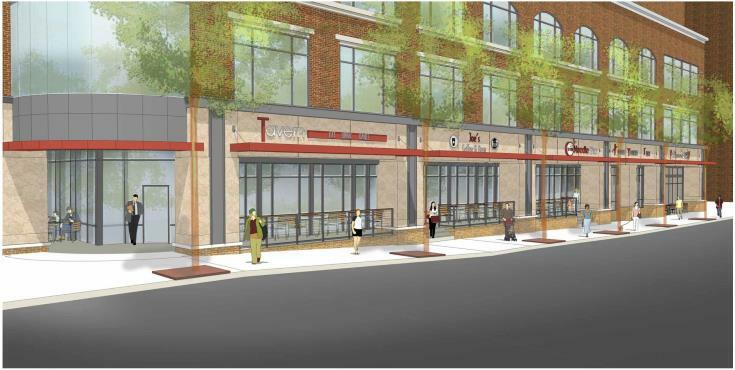 Jump to this link to the Triangle Business Journal for a rendering of the upcoming building.